Alila Villas Soori is a private and luxurious retreat located in Bali, Indonesia. You can win a a three-night stay in a one-bedroom Mountain Pool Villa there! It is surrounded by UNESCO's world heritage protected rice fields. One can see also see the incredible volcanic sand plus the nearby coastline. 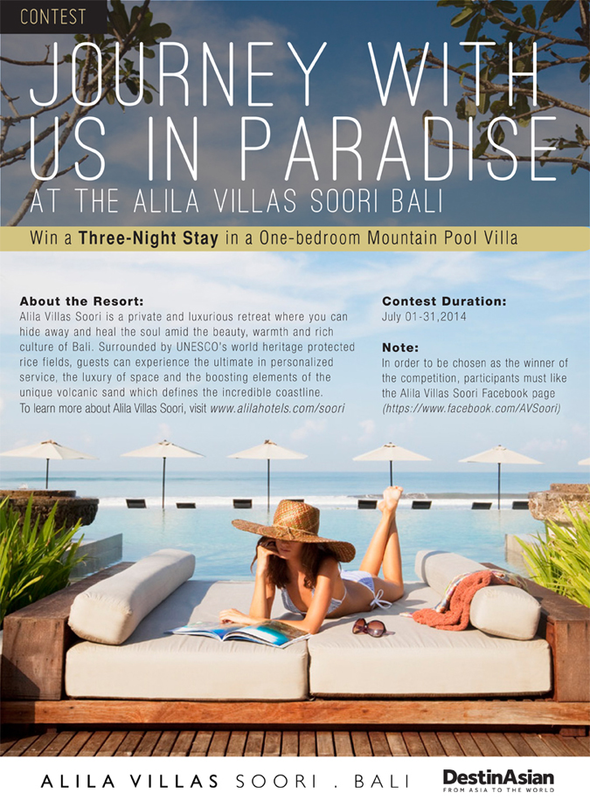 Just like the official Facebook Fan Page of Alila Villas Soori. Please click here. Then you just need to enter your emmail, name, country etc... Easy peasy!